Installing a mechanical conveying system in your facility? Here’s what to avoid (and what to do instead) to achieve a successful install. If you’re looking into a mechanical conveying system, you’ve probably got a large processing facility and lot of product to move in, out or across it. If you haven’t scoped a system like this before, however, it can be a daunting task. With so much of your process dependent on the system to move materials, making a mistake in the system’s design or execution can be costly – to your process, your company and to you. 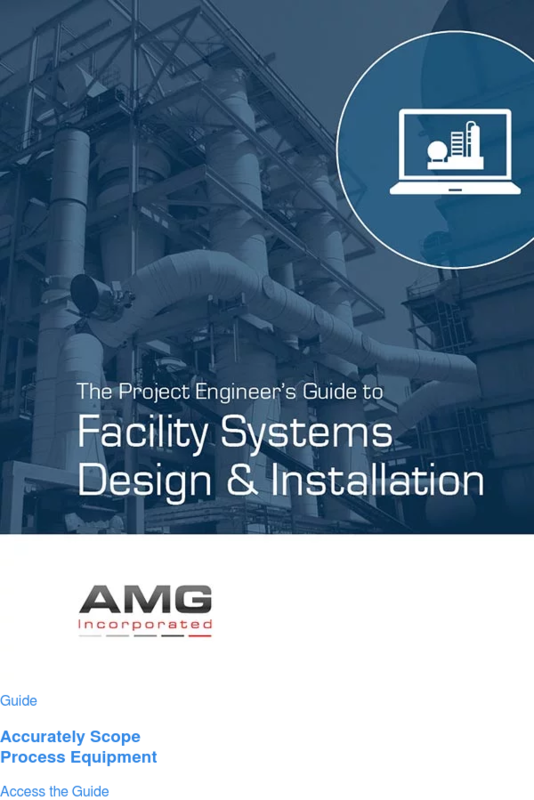 That’s why having a solid, up-front understanding of these systems – the types, advantages and disadvantages, and design challenges – can be so valuable. It’s also why we’ve put together this informative primer. We’re hoping it helps you make the most informed decision possible so the scoping phase is as smooth as the process that follows. What is mechanical conveying and what it is good for? Mechanical conveying is a very efficient way to transfer large amounts of product from point to point, often over a long distance. Some mechanical conveyors cover distances of a half mile or more, and because of their speed and capacity, are ideal for quickly offloading vehicles like trucks, rail cars and barges. Because they’re more robust, mechanical conveyors can move a wide variety of product shapes, sizes or weights. They also offer a great deal of design flexibility since they can be installed almost anywhere. They’re very versatile systems as well, since they can convey material horizontally, at an incline or even vertically. When compared with pneumatic conveying, mechanical conveying can handle larger production rates. Blended materials that have components with differing bulk densities, such as feed mixes, will not stratify with bulk conveying. Mechanical conveying is also very effective at moving wet products. Whether you’re moving raw materials in and out of storage, moving them into and off of the production line or sending them out to shipping, though, a mechanical conveying system can do the job quickly and efficiently. What are the different types of mechanical conveyors and what do they do best? Screw Conveyors – As their name suggests, screw conveyors use an auger-type motion to move materials – oftentimes horizontally or at a slight incline. They’re particularly useful for small spaces and short distances (less than 24 feet) since their connecting bolts tend to be the weak point in this design. Screw conveyors are very good for wet products, those that cake and stick together, and can be used in mixing applications. They’re also ideal for dryer inlet discharges. Drag Chain Conveyors – A drag chain conveyor uses a chain and paddle design to move material. They come in 2 basic styles: en masse and bulk flow. En masse conveyors utilize a low profile paddle in a tall box. It’s good for dry products like grains that can be piled up and still ride well on top of themselves. The en masse design is more likely to be used for dry products on lines without much incline, and long distances. Bulk flow drags use a taller paddle in a divided box. This design is better for wet products, can handle a steeper inclines, and S-path configurations. Bucket Elevators – Bucket elevators are aptly named. They’re used to facilitate big changes in elevation or to get products up high – especially dryer products. Vibrating Feeders – While they’re not as common, vibrating feeders do have their advantages. Because they use vibrating trays to advance materials, they’re well suited for products that have a tendency to clump or stick together. They’re also good for products that are sticky and need to cool, as well as coating applications. The vibration keeps them from clumping as they move from coater to cooler. Belt Conveyors – Belt conveyors utilize a wide belt over rollers to move material. It’s perfect for moving a lot of product or covering very long distances. It’s surprisingly gentle for as fast as it can move and can be used to convey almost anything, although sticky products tend to pose maintenance issues. What are 6 of the biggest challenges involved with mechanical conveyors? Material Selection – Mechanical conveying can be designed for different duties. Agricultural conveyors are lightweight and designed to operate for 8 hours/day or seasonal use. Industrial conveyors are designed for 24-7-365 operation. Ruggedness may be their best attribute. It is important to consider the durability for the application. Construction materials that are too light or not made to run that hard for that long may let you down. Make sure you’re investing in equipment that’s up to the task you need to accomplish. Sizing – Too often, in an attempt to reduce the initial cost, conveyors will be sized smaller to operate at high speeds. Too many systems are sized too small or cannot handle to speed of their assigned task. There is a trade-off between operating speed, long term reliability and maintenance. Every mechanical conveyor has its limits. It’s important to know them. Screw conveyors, for example, probably shouldn’t run above 60 RPM. Drag conveyors should be limited to about 90 feet per minute, and bucket elevators should be kept under 500 feet per minute in general. Going beyond those limits could create safety and maintenance issues. Safety – Speaking of safety, it’s essential to have proper safety systems on conveyors like these. If not, a single system failure could impact the entire process upstream. When conveying materials that are classified as combustible dusts, Watchdog systems like belt tracking and bearing temperature monitors are required equipment. Regardless of area classification, additional safety measures like lid switches and motion switches are wise investments as well. Reliability – Mechanical conveyors can run fast. That’s what makes them so valuable. But the faster they run, the faster components tend to wear out. That’s where elements like wear liners can save you money in the long run. They’ll protect your equipment over time and keep it running at speed for far longer. Feeding – For drag conveyors, spout sizing is essential to proper feeding. If you have an abrasive product, for example, any of it that winds up on the chain due to improper feeding will ultimately damage the chain and the system. And that could grind everything to a halt. Ventilation – It’s nearly impossible to move agricultural and industrial products without creating dust – some of which could be combustible. Proper ventilation needs to be a key consideration for the health and safety of your workers, your system and your facility. What are 6 keys to precise mechanical conveying system scoping? Depending on your construction materials, use, drive type and other factors, there can be huge cost variations when it comes to scoping your mechanical conveyor. If you keep these six factors in mind, though, you should be able to come up with a competitive cost. Preparation – The first step in getting an accurate price is preparation. If you don’t have the expertise in house, get a conveyor bid drawing, create your preliminary specs and talk to potential vendors about budgets. They’ll get you off to a smarter start. Supports – Understanding the system’s path is important, too. Will you be going across the plant or across the road? Depending on the answer, you may need structurally designed supports that could impact the cost. Components & Materials – Components like sheet metal and spouting can add up fast. If you’re going to be running high-temperature products on your drag conveyor, as an example, you’ll want your paddle material to be able to handle the heat. If you’re running abrasive products, wear liners will be a must. Make sure you’ve done a thorough job accounting for the proper components, materials and sizes. Electrical – Don’t forget to add in the costs to power and run your system. Aspiration – Finally, no matter the product, this process is almost certain to raise dust. Be sure to factor in the system and cost to contain it. Scoping systems like these is no small task, but it’s not impossible either. Keep the thoughts and suggestions above in mind as you take the first steps. If you still have questions, read more about systems design and installation or talk to an engineer. There are plenty of experts who can help. The most important thing is to wind up with a system that works for your process, your facility, your company and your budget. But that you already knew.